In honor of the 100th anniversary of the end of World War I, here are 101 little-known and fascinating facts about its history. In this informative, accessible look at World War I, you'll find a complete overview of this critical historical event, its long-standing impact, and little-known facts. Identify the important figures, discover what everyday life was like during wartime, and learn about the inventions and momentous events from the Great War that changed history forever. 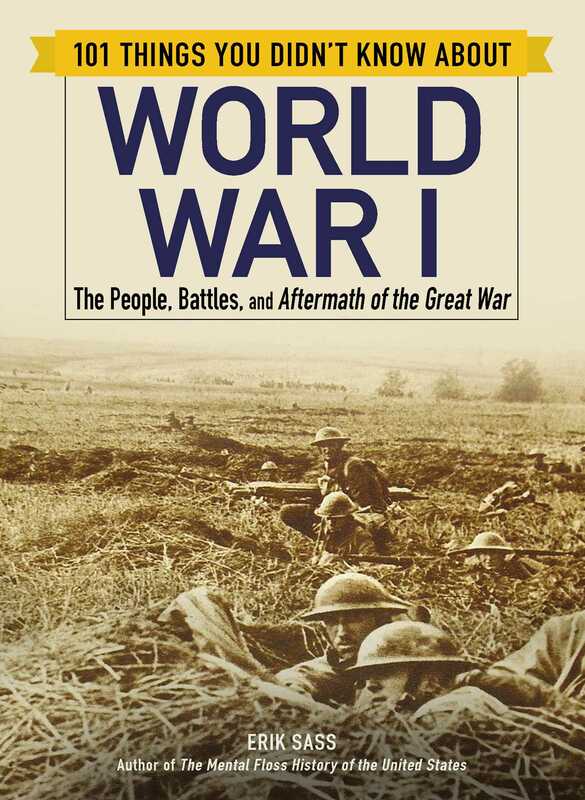 Whether you’re seeking a basic, academic introduction or looking for interesting new facts to expand your knowledge, you’re sure to find it in 101 Things You Didn’t Know about World War I.
Erik Sass holds a BA in history from Duke University and an MA in journalism from NYU. Since 2011 he has written a blog covering the causes of the First World War, as well as the events of the war itself, to commemorate the centennial of the conflict. He is also the author of The Mental Floss History of the United States and coauthor of The Mental Floss History of the World. He lives in Silver Spring, MD with his husband and daughter.